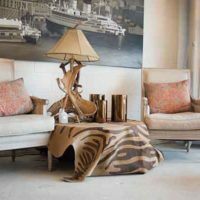 Eighth Avenue South is a resource for homeowners and decorators, offering shops full of antiques, mid-century furnishings, custom built wooden furniture, and more. Specializing in interior design concepts with a focus on customization, Epiphany Design Studio features vintage pieces, modern furnishings, art, and fabulous lighting. 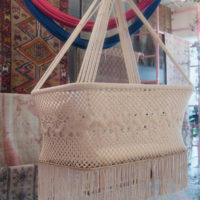 If you’re thinking about the home renovation or interior design, don’t miss this great store. Tucked just behind Epiphany is Downtown Antiques, a store overflowing with antiques of all descriptions. 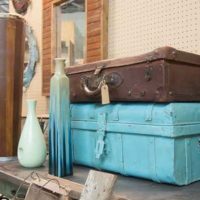 If you’re seeking mid-century furnishings, home decor pieces, vintage finds, industrial items, art, or an unusual piece to finish a room you’ll want to plan time to wander through this eclectic collection from a number of vendors. Nashville Billiards and Patio is a long-standing, family-owned business offering billiard tables (check out the table designed for use outdoors), home theater seating, bar stools, pub tables, and quite a wide array of patio furnishings. If you’re looking for arcade games or other types of entertainment furnishings, this is the place. 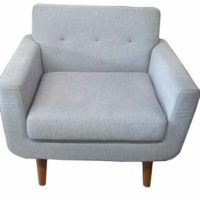 Specializing in quality consignment furniture and home furnishings, Remix Consignment Furniture’s thriving resale store features gently-used and some brand new quality furniture at affordable prices. The store only accepts items free from damage, stains, and odor. With inventory from local individuals, estate sales, and model homes, the store receives new inventory daily. While it’s true that All Seasons Gardening and Homebrewing Supply Company offers quality products for organic gardening, hydroponics, and homebrewing supplies, this store also offers a wide selection of gifts for the home and garden. All Seasons offers everything from tabletop decor and garden pots to numerous items for bird lovers. Woodstock Vintage Lumber was founded in 1996, when Brent Coursey, a lifelong refurbishment and restoration hobbyist, left the restaurant industry to follow his passion. 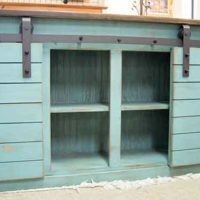 He purchased and restored buildings and homes, and today his reclaimed lumber from numerous local sources is available for wide plank flooring, mantels, tables, stair parts, accent walls, cabinets and countertops, and beams, posts, and rafters. Stop by and see some of the company’s work and visit the workshop. Formerly Werthan, Sims-Lohman is a large supplier of cabinets and fabricator of granite countertops. Visitors can also find a wide array of tile as well as cabinets from eight noted manufacturers. 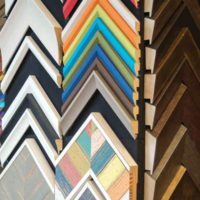 Hanging Around is a family-owned and -operated custom frame shop with over 40 years of experience. 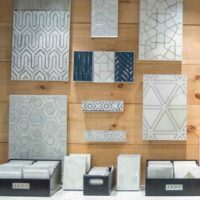 In addition to a large array of framing materials and photo frames, this shop specializes in working with and understands the needs of interior designers, museums, galleries, artists, corporate entities, local businesses, and the music industry. Among other specialties, visitors can find custom mirrors, readymade frames, shadowboxes, and more. 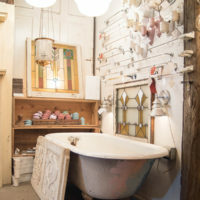 At the Preservation Station, shoppers will find a premier source of architectural salvage pieces ranging from doors and windows to plumbing fixtures and hardware. 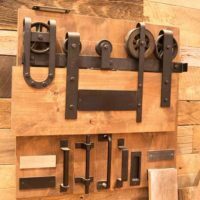 Those looking for antique lighting, vintage columns, stained glass, and more, this is an excellent store for vintage pieces or when remodeling a period home. Eighth Avenue Antique Mall offers a wide array of curios, collectibles, and hard to find items. 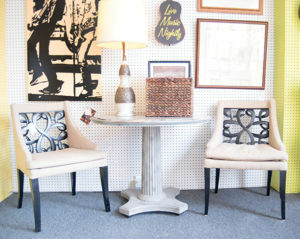 Visitors will find a mix of vintage pieces perfect for home accents. Drop by today and browse through the wide selection of antiques. 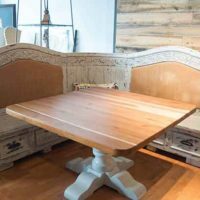 With an emphasis on reclaimed lumber, flooring, and high-quality, one-of-a-kind pieces, Karmal-Skillington has grown to employ 12 builders and three full time finishers to create custom designed and finished dining chairs, kitchen islands, and more. As customers began to request custom tables in special sizes, Karmal-Skillington’s custom table business was born. Today’s products include sideboards, vanities, media cabinets, doors, coffee tables, beds, and more. Leigh Skillington likes to say that the only limitation is the customer’s imagination. 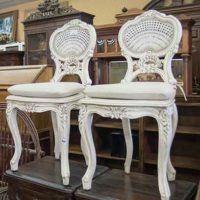 Dealer’s Choice Antiques & Auction specializes in antiques, Persian rugs, estate liquidations, bronzes, leaded windows, farm tables, dining tables, and quality new furniture. Quality consignments are welcome, according to Barry Wilkinson, the owner. The showroom is open Monday-Saturday. If you’re on the hunt for mid-century furnishings, vintage clothing, vinyl records, art, and one-of-a-kind items. Pre to Post Modern is a one-stop shop for pop culture essentials—mid-century furnishings, vintage clothing, vinyl records, art, and a wide array of one-of-a-kind items. If you long for home decor from the 60’s this is the place to find it! Classic Modern is an outgrowth of American Classical Antiques has been in business in the same location for more than 30 years. Nashville’s exclusive Elite leather dealer, the store also offers a variety of vintage and retro furnishings including 50’s style diner decor. 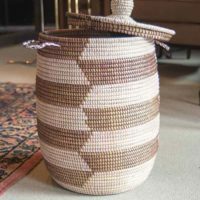 With a selection of furniture, lighting, art, and one-of-a-kind items, this store has merchandise dating from 1820. 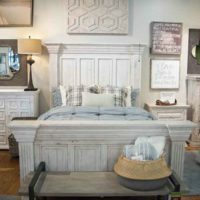 Bliss Home, founded in Knoxville, opened its Nashville store in 2014. That location has grown since the store opened, and features casual contemporary and vintage furnishings. Numerous leather and fabric options are available for the store’s upholstered pieces, while art, rugs, tables, and accent pieces make this a great place to shop for your home. 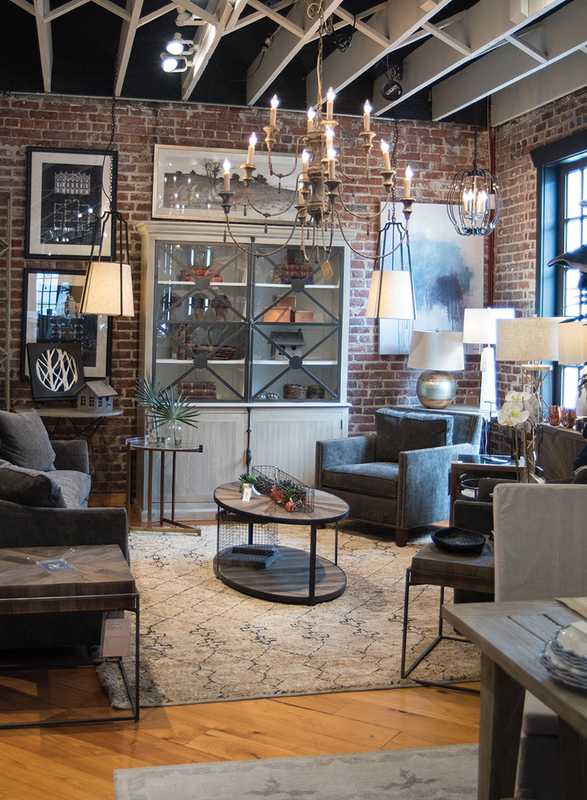 In its second location in Hillsboro Village, Apple & Oak features furniture, baskets, lighting, art, glassware, paper goods, and cowhide and woven rugs. For shoppers who can’t make up their minds about a rug, the store’s mobile rug truck (a little blue 1965 Ford pickup truck names Loretta Lou) can make deliveries. If you want a memento, the store also sells miniatures of Loretta Lou. Pierce & Company brings a touch of high style and pop culture to its showroom and to the homes of its clients, as Jonathan Pierce did when serving as lead designer on CMT’s 13 episode Ultimate Country Home series. It is the touch of couture style and popular trends that makes Pierce & Company a well-known name in the Nashville area. 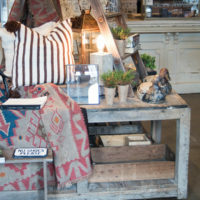 The showroom features furnishings, lighting, accessories, wall decor, rugs, and antiques. Tagging itself as “a general store for the modern-day tastemaker” White’s Mercantile is an expression of Holly Williams, a singer/songwriter who owns the store. The completely curated shop is stocked with Williams’ favorite items found while touring on the road. From wall art, candles, home decor items, books, and more, White’s Mercantile pays homage to Williams’ maternal grandparents and drew inspiration from the mercantile store her grandfather once owned in Louisiana. Summer Classics, found in the old Becker’s Bakery building, exists to help shoppers create special places for family and friends, whether it’s on a patio or deck or an enclosed porch. The store offers timeless outdoor furniture, deep seating, dining sets, umbrellas, and more. Hundreds of exclusive outdoor fabrics are available for cushions, pillows, and more. Designed to fit any budget, Summer Classics’ selections include indoor and outdoor accessories, rugs, lamps, lighting, and more.